Finally, even the last schools to start the year -- those in New York City -- are opening their doors to students tomorrow. Parents everywhere can take a deep breath and know that their children are settled in to their school and class until late next spring. Unless, of course, your child is moving to a new school level after this year. Or you are thinking about moving him to different school. Or it is time to consider a private special education setting. For these families, there is no respite come the fall. For many private schools, especially those that are well regarded for their academics or general reputation, or those that do a good job helping students with learning or other challenges to succeed, the early fall is the time to begin the admissions process for the following school year. Parents who go to a private school's website will see that there are open house dates scheduled for as early as the beginning of September. Application deadlines vary, but tend to align with those for college admissions. Many schools have rolling admissions, filling spots as qualified applicants apply and closing the application process once their classes are filled. Other schools have a fixed deadline and will then look at the body of applicants to make sure their classes are balanced in terms of things like academic abilities, gender, and special needs. So, parents who are thinking ahead and considering a different school for their child for next year should not delay in launching their investigation. Not sure where to begin? The guidance counselors in your child's current school may be a good starting point. If your current school is not a good fit, or if your child is aging out, they should be able to point you to places to consider and can sometimes help shortcut the admission process. You can also look at some of the local and national websites that list schools and often have features that allow you to search for specific attributes and locations. Most schools have colorful websites, filled with photos of happy students and statistics about enrollment and achievements. Still, the school website is the best place to begin your investigation. Look at information about curriculum, special learning supports, and important numbers, such as class size and tuition. 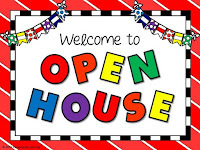 Sign up for an open house or small group tour, the earlier in the term the better. An open house with presentations and tours of empty classrooms may yield some sense of a school's atmosphere. More helpful is a tour that occurs during the school day and gives parents a glimpse of what goes on in classrooms. If possible, look at the classroom for your child's current grade. These students will likely be his or her classmates. Can you see your child fitting in with this group? Is the classroom a calm and welcoming place? Is there individual attention to students' needs, especially important in a special education setting? Then, if possible, visit the classroom for the grade your child will be in when he or she enrolls.This will give a sense of what is being taught, a possible teacher at that level, and what the classroom for that grade looks like. Can you see your child fitting into this setting? And what about those families who children need to make a school switch at the last minute, or in the middle of the school year? These could be children with newly diagnosed learning challenges or who are just not fitting in to their current school. Or a family may have to relocate mid year for work or other reasons. Are they just out of luck? Fortunately, many good schools, both for typical learners and for students with special learning needs, have last minute or mid-year spots available. Choices may be more limited, but parents should reach out to schools and inquire. And parents should keep in mind that public schools must enroll every child who lives in their district.